China lofts navigation craft on Long March booster S. Clark. - Spaceflight Now. - 2003-05-25. China plans to build a global navigation satellite system, which is expected to provide service to users around the world, by the year 2020. The country will send six to eight satellites to space later in 2017, and it will have 18 satellites in space by 2018 to provide basic services to countries along the "Belt and Road" route, Wang Li, China Satellite Navigation System Committee chairman, disclosed at the 8th China Satellite Navigation Conference on 23 May 2017. The BDS-1 and BDS-2 systems, also known as BeiDou Navigation Satellite Demonstration System, were built in 2000 and 2012 respectively, providing communication services to Chinese and other Asian users, said Ran Chengqi, director of China's Satellite Navigation System Management Office. The BDS-3 system will broadcast additional navigation signals and enhance compatibility with other navigation satellite systems so as to provide better service for global users, Ran added. The Compass/BeiDou Navigation Satellite System can provide two types of service at the global level: open service and authorized service. Through its open service, it provides free positioning, velocity and timing services. Through its authorized service, it provides safer positioning, velocity and timing services, as well as system integrality information, for authorized users. The Compass/BeiDou Navigation Satellite System can provide two kinds of authorized services, including a wide-area differential service (with a positioning accuracy of 1 m) and a short-message communication service in China and nearby areas. China's indigenous satellite navigation system Beidou started providing initial operational services, including positioning, navigation and timing, to China and its surrounding areas from Tuesday 27 December 2011. According to plans, six more satellites were launched in 2012 to further expand the service area of Beidou system to most parts of Asia-Pacific region. Based on "three-step" development plan - from experimental system to regional system and then to global system, by 2011 China planned to continue building its Beidou satellite navigation system, implementing a regional Beidou satellite navigation system before 2012, whose navigation and positioning, timing and short-message services would cover the Asia-Pacific region. China aimed at completing the global Beidou satellite navigation system by 2020, comprising five GEO satellites and 30 non-GEO satellites. The BeiDou Navigation Satellite System followed the development roadmap of starting with regional services first and expanding to global services later. A three-step development strategy was taken. Phase I is BeiDou Navigation Satellite Demonstration System, which was been established in 2000. Phase II is BeiDou Navigation Satellite (regional) System to provide service for areas in China and its surrounding areas from 2012. Phase III is BeiDou Navigation Satellite System to be established completely and provide global service by 2020. The regional Beidou system, which China refers to as Beidou-2, grew out of an earlier satellite constellation, known as Beidou-1. Beidou-1 provided limited precision, navigation, and timing services in China and a small portion of East Asia but served primarily as a developmental platform for future projects. The nominal constellation of BeiDou Navigation Satellite (regional) System is composed of fourteen satellites, including five Geostationary Earth Orbit (GEO) satellites and nine Non-Geostationary Earth Orbit (Non-GEO) satellites. The Non-GEO satellites include four Medium Earth Orbit (MEO) satellites and five Inclined Geosynchronous Satellite Orbit (IGSO) satellites. The GEO satellites are positioned at 58.75°E, 80°E, 110.5°E, 140°E and 160°E respectively. The B1 signal is the sum of channel I and Q which are in phase quadrature of each other. The ranging code and navigation message is modulated on B1 carrier signal. The signal is composed of the carrier frequency, ranging code and navigation message. Ground control segment consists of several Master Control Stations (MCS), Upload Stations (US) and a network of globally distributed Monitor Stations (MS). The main tasks of MCS are to collect observing data from each MS, to process data, to generate satellite navigation messages, wide area differential data and integrity information, to perform mission planning and scheduling, and to conduct system operation and control. The main tasks of Upload Stations include completing the upload of satellite navigation messages, wide area differential data and integrity information, controlling and managing the payload. The tasks of Monitor Stations include continuous tracking and monitoring ofnavigation satellites, receiving navigation signals, sending observational data to the Master Control Station for the satellitesorbit determination and time synchronization. The user terminals include various BeiDou user terminals, and terminals compatible with other navigation satellite systems. The Beidou satellite navigational system provides positional information for highway, railway and marine transportation. The three satellites have formed a complete satellite navigation and positioning system, which will help to ensure all-weather navigation and positioning information. The China-made system will play an important role in economic matters, offering efficient navigation and positioning services for the sectors of transportation, meteorology, petroleum production, forest fire prevention, disaster forecast, telecommunications and public security. The navigation system, which serves as a radio beacon in outer space, can help subscribers know their location at any time and place with accurate longitude, latitude and altitude data. China based the Bei Dou satellites on the three-axis stabilized DFH-3 satellite bus, to deliver services such as power and attitude control. China is one of the few countries in the world capable of developing such a system on its own, and has also made some innovations in the positioning property of the system. Both the satellite and carrier rocket were developed by the Chinese Research Institute of Space Technology and China Academy of Launch Vehicle Technology, which are under the China Space Science and Technology Group. New testing procedures were adopted in the launch, which not only help reduce the time needed for preparing for the launch, but also improve the quality of the carrier rocket, enabling China to be at the forefront in this field around the world, said the experts. The precise nature of this system was initially somewhat obscure, but it initially appeared to be analogous to the Wide Area Augmentation System [WAAS] implemented in the United States to supplement the Global Positioning System. In the American WAAS, a network of precisely surveyed ground reference stations receive GPS signals, which determine if errors exist and compute corrections. These corrections are then transmitted from a geo-stationary communication satellite on the same frequency as GPS. This could enable China to continue to use the American GPS system, even in the face of American efforts to deny GPS to adversaries in wartime. In early 1980s, China began to actively study the navigation satellite systems in line with China’s conditions. In 1994, under the framework of International Telecommunication Union (ITU), China started the BeiDou Navigation Satellite System frequency coordination activities. Satellite network information was submitted in accordance with the BeiDou system construction plan and progress. China, as a member of the International Committeeon Global Navigation Satellite Systems (ICG), has participated in every ICG General Assembly Meeting and the ICG Providers Forum. In 2007, China became one of the four core providers designated by the organization. In 2000, BeiDou Navigation Demonstration System was basically established, which made China the third nation in possession of an independent navigation satellite system following the United States and Russia. 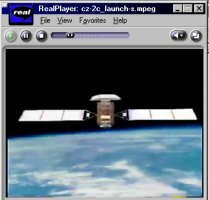 The Beidou (Big Dipper) Navigation Test Satellite 1 (BNTS-1) was launched by a Chinese Long March 3M booster on 31 October 2000, into a geo-stationary orbit slot at 140 degrees East Longitude, to the east of China. It was followed by "Beidou 1B" on 21 December 2000, which was placed in a geo-stationary slot at 80 degrees East longitude. 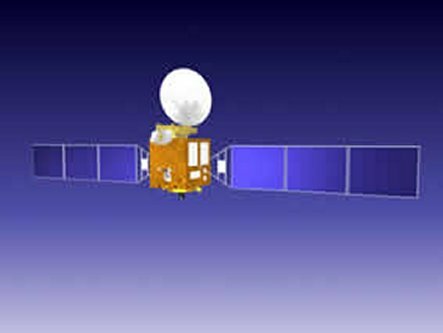 Beidou 1C was launched into an orbit at at 110.5°E on 24 May 2003 from the Xichang Satellite Launch Center on a CZ-3A booster. With this third launch, China claimed to have completed a constellation of three navigational satellites. The demonstration system can provide positioning, timing and short-message communication services to users in China and nearby areas. Besides, a GPS augmentation function is included. The system has been applied to many fields including geodesy and surveying, communication, fishing, mineral prospecting, forest fire prevention, national security etc. The system played a significant role in rescue and relief efforts during the ice-snow disaster that took place in southern China and in the Wenchuan earthquake that struck Sichuan province in 2008. On 14 April 2007, the first MEO satellite, named Compass-M1, was launched. On 15 April 2009, the first geostationary satellite, named Compass-G2, was launched. According to the construction schedule, the Compass/BeiDou Navigation Satellite System will, as a first step, cover China and the nearby area, by around 2011, but the full deployment of the System will be completed between 2015 and 2020. In January 2009 China announced that it expected to complete its own independent Bei dou Navigation System (BNS) GPS Satellite system by the year 2015. It is expected to consist of 30 satellite ten of which are to be launched during 2009-2010 in addition to the five already in place. The PRC launched the fourth second generation of its duel purpose military civil Bei dou "Compass," navigation system (BNS) satellites on June 2, 2010 with a Long March-3C booster stating that it was a "Critical part of the space infrastructure". 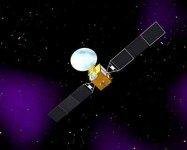 It pending launch was announced from the Xichang Space Launch Center on June 1, 2010.References: (5) This leaves eight more Bei dou "Compass," satellite to be launched by early in 2012 by splitting the program between two five year plans. The rest of the program is also being split over two additional five year plans with the obvious reality that some of the spacecraft with shorter life times will also have to be replaced eventually. To this end China launched another of its Long March -3A boosters on late July 31, 2010 with the fifth launch of its second generation Biedou global positioning satellite to add to the developing constellation. Since it was officially brought into service in 2003, the BeiDou Navigation Satellite Demonstration System has been widely used in transportation, marine fisheries, hydrological monitoring, weather forecasting, forest fire prevention, timing for communication systems, power distribution, disaster mitigation, national security, and many other fields, which has been resulting in significant social and economic benefits. Particularly, the system has played an important role in the South China frozen disaster, earthquake relief in Wenchuan, Sichuan Province and Yushu, Qinghai Province, theBeijing Olympic Games, and the Shanghai World Expo. Timing Accuracy: one-way, 50 nanoseconds. China's homegrown Beidou Navigation Satellite System would be put into its first oversea operation in Thailand early in 2014r. The announcement was made in Bangkok in October 2013 by China's Wuhan Information Technology Outsourcing Service and Research Centre and the Geo-informatics and Space Technology Development Agency (GISTDA) under Thailand's Ministry of Science and Technology. An agreement with an expected value of 319 million U.S. dollars inked by the two countries in March has established their commitment to cooperation on the construction of Thailand's geospatial system, giving the country access to China's advanced technology, products and services. The two sides have agreed to start building a model satellite station based on Beidou in an industrial estate in Thailand's eastern Chon Buri province next month and nationwide construction will begin early next year, said Liu Junyi, deputy director of the Wuhan Information Technology Outsourcing Service and Research Centre. It will be the first time that the Beidou lands outside China, said Liu, adding that China will draw experience in its cooperation with Thailand and further explore foreign markets. " The Beidou will be able to provide global service by 2015," he said. China planned to launch six to eight BeiDou-3 satellites in 2017, according to a senior designer of the satellite navigation system, 06 March 2017. It is part of a plan to put 35 BeiDou satellites into space to form an orbiting satellite network and offer worldwide navigation services by 2020, said Yang Yuanxi, deputy chief designer of the BeiDou satellite navigation system. Yang was speaking on the sidelines of the fifth session of the 12th Chinese People's Political Consultative Conference (CPPCC) National Committee, of which he is a member. Compared to earlier generation products, the BeiDou-3 is able to cover a wider range and has a longer lifespan of 12 years, according to Bao Weimin, another CPPCC National Committee member and an official with China Aerospace Science and Technology Corporation. China had already sent 22 BeiDou satellites into space. Yang said the launches this year would feature two satellites on a single carrier rocket. China on 29 July 2018 sent twin satellites into space via a single carrier rocket, entering a period with unprecedentedly intensive launches of BeiDou satellites. The Long March-3B carrier rocket lifted off from Xichang Satellite Launch Center in Southwest China's Sichuan Province 9:48 am, the 281st mission of the Long March rocket series. The twin satellites are the 33rd and 34th of the BeiDou navigation system. They entered orbit more than three hours after launch. After a series of tests, they will work together with eight BeiDou-3 satellites already in orbit, said the launch service provider. A basic system of 18 BeiDou-3 satellites orbiting will be in place by the year's end and will serve countries participating in the China-proposed Belt and Road initiative. China on 25 August 2018 successfully sent twin BeiDou navigation satellites into space on a single carrier rocket. The Long March-3B carrier rocket lifted off from Xichang Satellite Launch Center in southwest China's Sichuan Province at 7:52 a.m.. It was the 283rd mission of the Long March rocket series. The twin satellites entered orbit more than three hours after the launch. After a series of tests, they will work together with 10 other BeiDou-3 satellites already in orbit. The twin satellites were developed by the Innovation Academy for Microsatellites of the Chinese Academy of Sciences. China sent two new satellites of the BeiDou Navigation Satellite System (BDS) into space on a Long March-3B carrier rocket from the Xichang Satellite Launch Center in Sichuan Province at 2:07 a.m. 19 November 2018. The satellites entered a medium earth orbit more than three hours later and will work with 17 other BDS-3 satellites already in space. They are also the 42nd and 43rd satellites of the BDS satellite family. With the successful launch, the basic BDS constellation deployment is complete. China plans to provide navigation services with the BDS-3 to countries participating in the Belt and Road Initiative by the end of this year. "This is a key step for BDS developing from a domestic experimental system to a regional and then a global navigation system," said Yang Changfeng, chief designer of the BeiDou system. The positioning accuracy of the BDS-3 system has been improved to 2.5 meters to 5 meters, up to twice as high as the BDS-2 system. China on 27 December 2018 announced that its domestically developed BeiDou Navigation Satellite System (BDS) has started to provide a global service with positioning accuracy of 10 meters and timing accuracy of 20 nanoseconds. BeiDou spokesperson Ran Chengqi, also director general of China Satellite Navigation Office, made the announcement at a press conference held by the State Council Information Office in Beijing. "The construction of the BDS-3 primary system has been completed and global service is provided starting today, marking the moment that BDS officially enters the global era," Ran said. BDS-1 is already retired and 15 BDS-2 satellites are in continuous, stable operation. Nineteen BDS-3 satellites have been successfully launched with stable and reliable inter-satellite links being established and deployment of the core constellation for the BDS-3 successfully completed, according to the official document Development of the BeiDou Navigation Satellite System (Version 3.0). The spokesperson characterized the BDS global service that covers the countries and regions along the China-proposed Belt and Road initiative route as "highly reliable and stable with high precision," as he released the new BDS Open Service Performance Standard (version 2.0) on Thursday. The document states that the BDS service scope has expanded from region-wide to worldwide, and the positioning accuracy will be 10 meters. The velocity of the BDS global service will reach 0.2 meters per second and the timing accuracy 20 nanoseconds, with a 95 percent confidence level. The BDS global service availability will be above 95 percent on the planet. According to the China Satellite Navigation Office, Beidou Navigation Satellite System (BDS) will continue high-density global deployment, launching 8 to 10 Beidou navigation satellites and complete all Medium Earth Orbit (MEO) satellites launch in 2019, in order to further improve the constellation layout across the world, and to comprehensively enhance the service performance of BDS and improve user experience. Since the BDS-3 project completed the basic system and began to provide global services at the end of last year, the BDS has been operating steadily. Through global testing and evaluation, its global positioning accuracy is better than 10 meters and in the Asia-Pacific region, it’s 5 meters, which both meet the index requirements. After years of development, BDS has formed a complete industrial chain and achieved large-scale applications in China's transportation, agriculture, public security, surveying and mapping industries and other fields. This year, China will gradually increase the in-depth innovation and integration of BDS with emerging technologies such as the Internet, big data, and artificial intelligence (AI), with a view to promoting new integration application models and formats of the “Beidou +”. According to statistics, the sales of basic products such as domestically-made Beidou navigation chip modules have exceed 700 million, and the sales of domestically-made high-precision board and antenna have accounted for 30% and 90% of the domestic market respectively as of the end of 2018. China has always adhered to the concept of "China's Beidou serves the world", deepening international cooperation in satellite navigation, promoting the BDS globally, and sharing the development results of BDS with the other countries across the world. At present, the BDS has been widely applied to various fields such as the confirmation of land rights in Indonesia, construction in Kuwaiti, land surveying and mapping in Uganda, precision agriculture in Myanmar, offshore piling in Maldives, drones in Cambodia, warehousing and logistics in Thailand, airport timing services in Pakistan, and power inspection in Russia. The high-precision products of the BDS have been exported to more than 90 countries and regions, and the ground-based technology and product system of the BDS are also exported overseas. To further strengthen the BDS forum mechanism, the Chinese Secretariat of the China-Arab States Cooperation Forum, the General Secretariat of the League of Arab States, the China Satellite Navigation Office, and the Arab Information and Communication Technology Organization (AICTO) will jointly hold the second China-Arab States BDS Cooperation Forum in Tunisia from April 1 to 2, 2019. China and Arab countries will work together to explore a long-term mechanism for international cooperation and exchanges, making it an important multilateral platform for deepening China-Arab states' cooperation in satellite navigation and promoting the deployment of the BDS in the Arab countries. China plans to complete the construction of the BDS-3 global system and start to provide special services by 2020. China will build a PNT (positioning navigation and timing) system, featuring wider application, greater integration, and higher intelligence with the BDS as the core by 2035. 1. Hodgin, Rick C., Trend watch, Tgdaily.com, http://www.thdaily.com, January 19, 2009, p. 1-2. 2. China to have global satellite navigation system by 2015, China View, http://news.xinhuanet.com, January 19, 2009 p. 1. 3. China launches 2nd satellite in GPS system, Beijing Associated Press, April 15, 2009 p. 1. & China daily.com.cn. 4. China to send third navigation satellite into orbit, http://news.xinhuanet.com January 15, 2010 & China Launches Third Orbiter For Indigenous Global SatNav System Xichang, China Jan 18, 2010 GPS Daily & China opens 2010- with BeiDou-2 Satellite launch, NASA Spqaceflight.com January 16, 2010. 5. China To Launch Fourth Orbiter For Global Satellite Navigation Network Xichand, China June 2, 20109 GPS Daily, & China sends Beidou navigation satellite to orbit, Spaceflight Now June 2, 2010.